Islam and Sikhism are two religions practiced in different parts of the world. 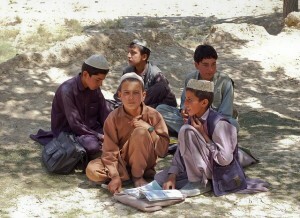 They are different in almost everything like customs and practices. When Holy Quran is the holy book in Islam, it is Guru Granth Sahib in Sikhism. In Islam, it is believed that Gabriel, the angel, was the mediator of God who had revealed Quran to Mohammed. Ten gurus compiled the Guru Granth Sahib, which included passages from Sufis and Hindus. When there are five pillars in Islam, Sikhism has three pillars. The Five pillars are the duties a believer has to practice in life. They are Salat, Sahada, Zakat, Sawm, and Hajj pilgrimage. 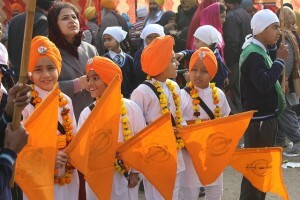 The three pillars in Sikhism are Naam Japna, Kirat koro and Vachakko. Unlike Islam, Sikhism has Five K’s. The Five K’s are Kesh (uncut clean hair), Kangha (wooden comb), Kachera (clean white shorts), Kara (steel/iron bracelet) and Kirpan (long sharp sword). The teachers in Islam are known as Rasools or Nabis whereas the teachers in Sikhism are called Gurus. Another difference that can be seen between the two religions is in the observation of pilgrimage. Sikhism does not believe in pilgrimage. On the other hand, people following Islam take out Hajj Pilgrimage. It can also be seen that men who practice Sikhism do not circumcise as like the men who practice Islam. Another difference that can be seen between Islam and Sikhism is in the funeral. A dead Muslim is buried whereas a dead Sikh is cremated. When Mecca is the sacred place for Islams, Amritsar is the sacred place for Sikhs. In Sikhism, Gurpurabs are considered auspicious days whereas Eid is an auspicious day in Islam. 1. When Holy Quran is the holy book in Islam, it is Guru Granth Sahib for Sikhism. 2. While there are five pillars in Islam, Sikhism has three pillars. 3. Unlike Islam, Sikhism also has Five K’s. The Five K’s are Kesh,Kangha, Kachera, Kara, and Kirpan. 4. Sikhism does not believe in pilgrimage. On the other hand, people following Islam take out Hajj Pilgrimage. 5. Men who practice Sikhism do not circumcise as like the men who practice Islam. 6. A Muslim is buried when dead whereas a Sikh is cremated when dead. 7. When Mecca is the sacred place for Islams, Amritsar is the sacred place for Sikhs. 8. The teachers in Islam are known as Rasools or Nabis whereas the teachers in Sikhism are called Gurus. Prabhat S. "Difference Between Islam and Sikhism." DifferenceBetween.net. September 27, 2017 < http://www.differencebetween.net/miscellaneous/religion-miscellaneous/difference-between-islam-and-sikhism/ >. Please note the very important point that you have missed , In Islam, Allah ( the One and only GOD who is worthy of worship). @Shiyaz, that would not be called upon as difference coz sikhism believe in one almighty lord. and also, in sikhism, that almighty lord can be named as you wish, allah, ram, rahim, maula, narayan, etc etc…..
We as sikhs usually call that undying figure “Waheguru”, refers to God, the Supreme Being or the creator of all. It also means “Wonderful Teacher” in the Punjabi language….. It believe in One God. In nutshell Knowledge of Truth and Humanity is the Message in Guru Granth Sahib. “Aval Allah Nur Upaya kudrat ke sab bande, Ek Nur te sab jag upjiya kon bhale ko mande” is the message from GGS means that every human-being be it Hindu, Christian, Muslim or any other follower they all are creation of One God and that is the creator of Everyone, so no one can be considered bad or inferior or superior. Hence this Religion completely believe in Brotherhood and Humanity. Guru granth sahib,the holy book of sikhism, starts wid the word ‘ek onkar’ which means ‘god/almighty is one.’ so thrs no diff. in ths coz holy book concerned in the world ,eithr of sikhism ,islam, hinduism, christianty, evry1 says god is one. Thanks for giving the incredible knowledge of both religions. But some points are missing in islam according to women’s. According to sikhism there are 10 gurus and according to islam there are so many prophets has been comed.but the renew islam is last prophet Hazrat Muhammed salahllahu alai hi wasalam. According to islam the first prophet is Adam alai salam and last prophet is Hazrat Muhammed salahllahu alai hi wasalam. I am a Muslim with a difference that I am totally monotheist as compared to Muhammadan’s. I believe in One God, the father of creation of Heavens and Earth. Most religions started the same way as belief in One God, but then traditions and cultures took over and crept into the pure religion of worshiping One God! Human element started to intervene with deity and humans started to be revered more than God itself. That exact situation exists with Islam today, a dead prophet Muhammad is more revered than God. You go to mosque on Friday prayers not once God is talked about in the sermon while Muhammad and his friends are glorified to the nth degree. This indeed is not the religion of Islam as brought by all the prophets and the messengers throughout the ages. Muhammad was a monotheist and only preached the worship of God alone. He followed the Quran and asked his followers to do the same. However, alas, his followers made stories about him 200 years after he died called “Hadith and Sunna” the sayings and actions of Muhammad. Today Islam is fossilised in the 7th century by this tradition. However, when you read the Quran, it enlightens us with beautiful words which compares and competes with today’s modern world. A universal religious advice is available free of charge for any religion based on the Final Testament the Final Word of God on Earth!!! !